I’m starting with Brian Lamb‘s tweet, good grief – I’m even blogging a reply to Brian Lamb’s tweet, because it highlights one of the things that worked best about #OER17. It’s fitting also since Brian was one of the original EdTech edublogging crew (along with Alan Levine, Darcy Norman, Scott Leslie, Scott Wilson, Barbra Ganley, Jim Groom, Barbara Dieu and a host of others) who inspired and encouraged me to work openly and blog as part of my edtech practice back in the day (13th March 2004!). It’s always gratifying to give back to the community, and to support the lighting of many fires. I love the conference functioning as a distributed, open platform, rather than a localised, time-limited event. Catherine Cronin has just noted “many OER17 participants have remarked and/or written about the conference focus on criticality, equality, social justice” – and it was this conscious focus that I believe cleared the decks for the kind of discussion and thinking we’ve seen. The conference clearly signalled not only the legitimacy of experience within the field, but also the essential role that diversity of experience in relation to the practice of open education plays. Being open depends upon it. This idea isn’t anything new, but by making the political so explicit #OER17 was able to benefit from the years of work and thinking that preceded it – from open education practitioners and communities globally in general and from ALT‘s OER conference series in particular. Thank you everyone! One of our aims – and the title of OER15 – was ‘mainstreaming open education’. Obviously many of us see this recognition and understanding of open education within general society as desirable. Many of us have argued that Wikipedia represents a fundamentally mainstream positioning of OER and open education practice – even if the majority of beneficiaries don’t recognise it as that or have ever heard of an open licence. There was acknowledgement at OER17 that OERs can be created and made use of as much by political extremists than every other group. There is an understanding that OER doesn’t magically equal social good (and subsequently, a lot of attention given to open practice). If it is a broad aim of the open education movement to enter into the mainstream, and given that we know the mainstream is a frequently inhospitable place, with arguably large parts of it currently characterisable by widespread backlash to social justice gains – what do we mean when we say we want to mainstream OER? Is it an inherently de-politicising (in the Cixous sense) move? I’m suspicious of the current distinction between open pedagogy and open practice, and in particular, how little explanation is being given to the privileging or even just use of the term pedagogy over the term practice. Is the use of pedegogy being used as shorthand for educational practice? Is it being used to underline the importance of formal education, or the primacy of teaching? Why not open heutagogy? Is it being used as a form of interpellation, a signal to include and exclude specific groups within open education? What is wrong with ‘practice’? How do we benefit from continuing to insist on a break between theory and practice, or theory and politics? Is this distinction as harmful as the disavowal of the relationship between the personal and the political? I’m excited to see that our opening keynote Maha Bali is running an open hangout on the 24th April asking What is Open Pedagogy? I think one of the reasons #OER17 did so well in terms of attracting papers and discussions that fit the themes was because although our themes were broad, they were very clear. I’m a big fan of this kind of scaffolding. In terms of #OER18, a focus on learners is really welcome and useful for all of us. There was just criticism that learners were missing from #OER17, so I’m really excited to see how the new co-chairs, David Kernohan and Vivien Rolfe build on previous conferences to ensure learners are centre stage. I’m really keen to see some focus on open educational resources and practice in relation to disability – I’ve been to some great sessions at previous conferences, but we didn’t focus on this as strongly as we could have this year. 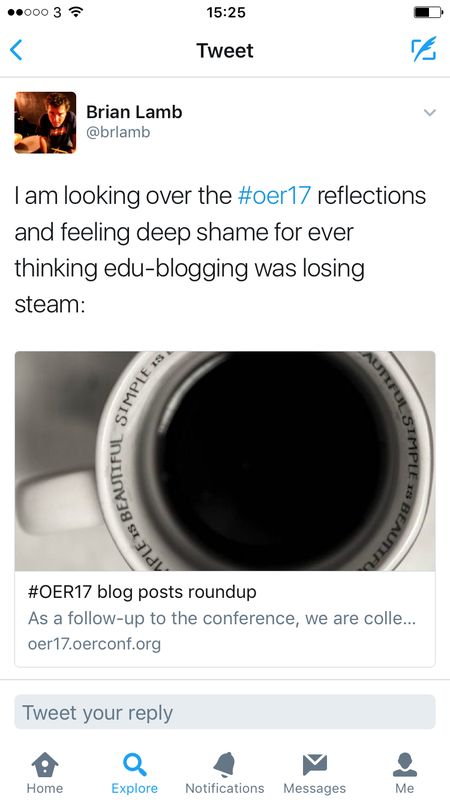 I’ve updated the title of the blog post to reflect a phrase Teresa MacKinnon used in the our followup webinar, describing #OER17 as “causing waves not ripples”. The LILAC annual conference is for librarians and information professionals who teach information literacy skills, are interested in digital literacies and who want to improve the information seeking and evaluation skills of all library users. The 2017 conference takes place in beautiful Swansea, 10-12 April. I’m delighted to be judging the Credo Digital Award for Information Literacy again. The award recognises the work of an individual or group, from any sector, who have produced a creative, innovative, and effective digital educational resource for promoting Information Literacy. Entries are due in by 5pm (GMT) on the 3rd March, so get your nominations in asap. Libraries as spaces and librarians and information professionals play a critical role in ensuring access to knowledge and information, and supporting meaningfully access that information. As such, they are on the front line of open education. Josie Fraser, an educational technologist who has worked with schools, colleges, universities and government in relation to organisational and staff development, will look at why open education is a key component of information literacy. Her keynote will explore what open educational practice is, and look at how libraries and information professionals are leading the way. Drawing on her experience of working with educators to support their understanding and use of open educational resources, she will look at the difference that an explicit incorporation of open education can make to learners and professional practice. Understanding and engaging with open education can help librarians and info professionals better support the information literacy of ‘info civilians’ and organisational aspirations with respect to making innovative and effective use of technologies. At a time when keeping the library open is becoming more and more difficult, Josie will argue that understanding open practice represents a necessity for everyone concerned with information literacy education. If you would like to attend, please sign up on the Eventbrite page. The Wikimedia UK Education Summit takes place on February 20th at Middlesex University, London, in partnership with the University’s Department of Media. It follows on from the successful 2016 Wikimedia UK Education Meetup. Wikimedians and educators working in schools, colleges, higher education and adult education met in Leicester to help inform the work of Wikimedia UK in relation to education, and connect to others using (or wanting to use) Wikimedia projects. The day showcased educators supporting learning and actively engaging learners using a range of projects, including Wikipedia, Wikisource and Wikidata. 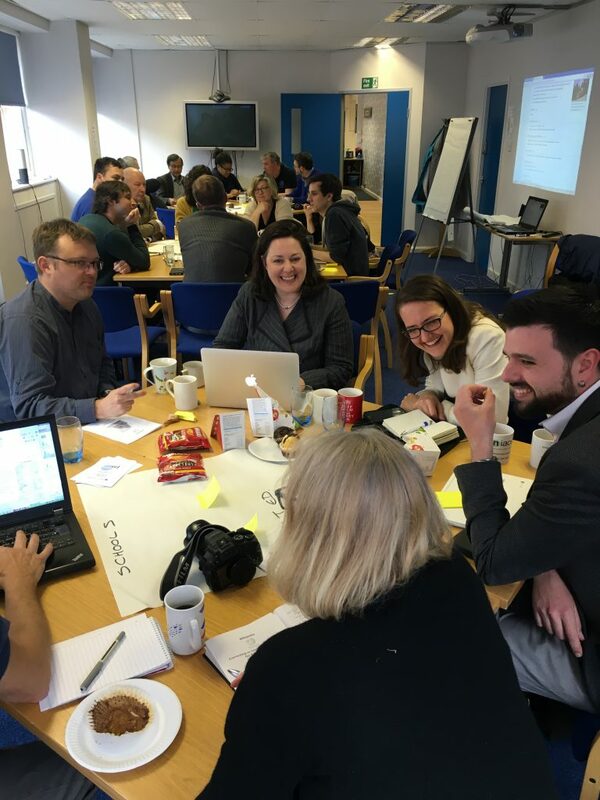 This event will continue to build connections and share expertise in relation to Wikimedia UK’s work in formal education. Everyone is welcome – whether you are just getting started and want to find out more about how Wikimedia projects can support education, or you are an established open education champion! The day will open with two talks. Melissa Highton (Director of the Learning, Teaching and Web Services, University of Edinburgh) will talk about the benefits of appointing a Wikimedian in Residence. If your institution is looking for an effective, affordable and innovative way of actively engaging students and supporting staff development through real world knowledge projects, this is a not-to-be-missed talk! Stefan Lutschinger (Associate Lecturer in Digital Publishing, Middlesex University) will talk about incorporating Wikipedia editing into the university curriculum. Stefan will cover the practical experience of using Wikimedia projects with formal learning communities. There will be a range of workshops throughout the day – ideal for those looking for an introduction to specific projects, or to brush up on their skills. Workshops include Wikidata, Wikipedia in the Classroom (and using the Education Dashboard), and how to maximise the potential of a Wikimedian in Residence in a university setting. There will also be a session looking at identifying and curating Wikimedia project resources for educators, helping to support others across the UK. Alongside all of this will be a facilitated unconference space for attendees to discuss subjects not covered by the planned programme. Please consider signing up here for a lightening talk (of up to five minutes) to share projects and ideas, or email karla.marte@wikimedia.org.uk. What can Wikimedia UK offer educators? Wikimedia UK is the national charity for the global Wikimedia movement and enables people and organisations to contribute to a shared understanding of the world through the creation of open knowledge. We recognise the powerful and important role formal education can and does play in relation to this, but also the challenges sometimes faced by educators in relation to institutional adoption and use of Wikimedia projects, including Wikipedia. This summit offers educators and Wikimedians in the UK the opportunity to work together to help learners and organisations connect and contribute to real world projects and to the global Wikimedia community. Wikimedia UK can support educators in a wide range of ways: providing events, training, support, connecting communities to volunteers, and helping identify potential project funding. Can’t make the summit, but want to be involved? Become a Wikimedia UK member – membership is only £5 per year and provides a range of practical benefits – directly supporting the work of the organisation to make knowledge open and available to all, and being kept in touch about Wikimedia UK events, activities and opportunities. You can join online here. Saturday 21 May 2016 saw Wikimedia UK volunteers and educators travel from across the UK to the City of Champions (and since you have an internet connection, you’ll know that’s Leicester). I was fortunate enough to work with Fabian Tompsett, Wikimedia UK activist, volunteer and open education advocate, to co-organised the event. Supported and hosted by the Learning and Work Institute, the half-day meetup was designed to take open education in relation to Wikimedia projects forward across the schools, further education, higher education and adult education sectors. Wikimedia UK is a charity that works with volunteers to support and promote active engagement with the wide range of Wikimedia projects – Wikipedia being of course the best known, since it consistently ranks as one of the most frequently visited sites globally. Like other Wikipedia projects, all of the content (text, images, multimedia, datasets) is typically in the public domain, or openly licensed (much under a Creative Commons Attribution/Share-Alike licence). The event was designed to gather the Wikimedia education community – those currently involved in projects and volunteering, and to welcome newcomers. As a group we looked at the strengths of the organisation in relation to education, and to plan future initiatives. The day started with an introduction from Wikimedia UK CEO Lucy Crompton-Reid. This was followed by short presentations on and discussion about current and past education focused projects. Mira Vogal works with staff and students at University College London to plan, run and evaluate a range of digital education activities. Initiatives like UCL’s Connected Curriculum give students reasons to produce work “directed at an audience” and “out to the world”. Her talk Wikipedia includes the Talk and History pages, and corresponding articles in different languages. UCL Wikipedia work evaluations confirm that student activity depends heavily on their tutors’ lead, so sustaining Wikipedia work within a curriculum depends on how tutors understand the potential of Wikipedia and explain it to their students. Charles Matthews has been a Wikimedia volunteer since 2003, working on Wikipedia, Wikisource and Wikidata projects. His talk focused on the Wikimedia UK Virtual Learning Environment project, which he leads on. Stefan Lutschinger is a creative professional, curator, and lecturer in Media, Culture and Communications at Middlesex University. Stefan’s talk covered his experience of integrating Wikipedia into the MED3040 Publishing Cultures course at Middlesex. Jason Evans was appointed as Wikimedian in Residence at the National Library of Wales in January 2015. Since becoming a Wikipedian in residence Jason has organised public events and shared digital content and is now looking to take Wikipedia into schools and universities through a number of initiatives. His talk covered developing projects and building trust in order to engage schools and universities with Wikipedia. Jason creating a lesson for secondary students on using Wikipedia responsibly #wuked16; will reach teachers too. Much of the conversation focused on how to raise the profile of activities and ensure that educational organisations and institutions were aware of the opportunities and benefits of working with the community and accessing expertise. We then broke into smaller groups, structured around sectors, to more closely discuss current and future plans. The reports back were wide-ranging and identified a range of technical developments (including the ability for teachers to curate image and multimedia Wikimedia assets into themed sets), the importance of sector specific staff training and support, working with learners, the opportunities afforded by family learning, promoting and raising awareness of Wikimedia UK, and Wikidata and data literacy. It was a rich and reflective day, marking the start of a renewed focus on education as a priority area for the organisation. Wether you are already involved in Wikimedia projects and education, or would like to connect to other educators and volunteers, get involved! You can sign up to the JISC Wikipedia mailing list (which is for anyone interested in education and Wikimedia projects), and check out Wikimedia UK upcoming events. Membership is a great (and low cost!) way to keep in touch with and contribute to Wikimedia UK. 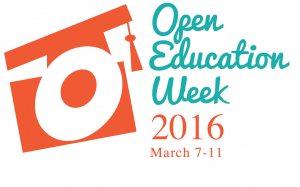 I’ve been supporting a range of great open education initiatives, contributing to this years Open Education Week activities and celebrations. 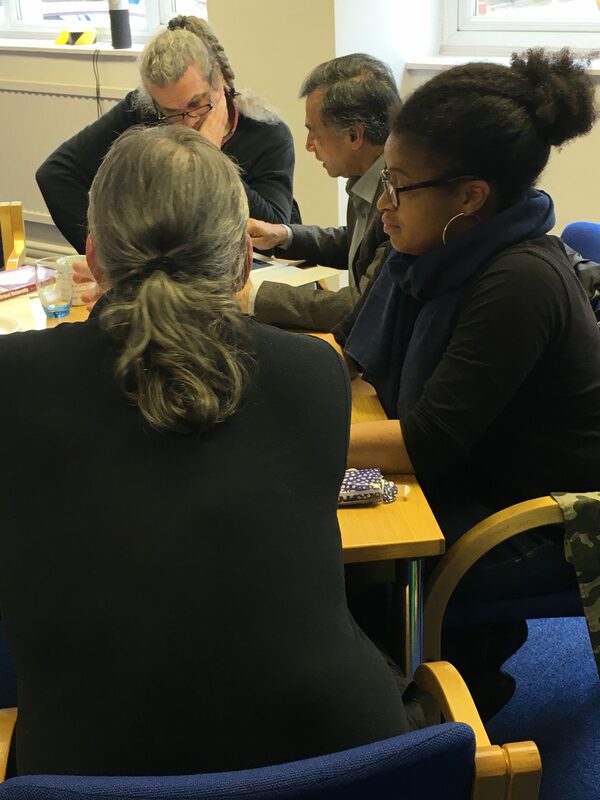 The new Learning and Work Institute – an independent policy and research organisation, which joins the National Institute of Adult Continuing Education (NIACE) and the Centre for Economic & Social Inclusion – held an OER Jam in Leicester, as part of the Institute’s work on Open Education Resources (OERs) across Europe. The face-to-face event supported adult education practitioners in using OERs for teaching and learning. The Jam was designed as a follow-up to the OERUP! Online training – with supports people working in adult education, and can be started at any time. I provided the wrap up talk for the day, focusing on the work we’ve carried out with schools across Leicester. In March, I lead a webinar for the European Commission’s ExplOERer Project, which is designed to promote sustainability through OER adoption and re-use in professional practice. My talk supported week 2 of the project’s online Learning to (Re)Use Open Educational Resources course, and focused on introducing Creative Commons licences, and thinking through some key questions in relation to beginning to use and create OER. I was also delighted to be invited to keynote at Opening Educational Practices in Scotland‘s fourth annual forum – #OEPSforum4. Following in the footsteps of some amazing open education luminaries – including Laura Czerniewicz, Lorna Campbell, and Alison LittleJohn, my talk focused on the mainstreaming of OER in education represented by the everyday use of sites such as Wikipedia and TES Resources, and approaches to making sustainable cultural and organisational change that put open education at the heart of professional practice. In my next post, I’ll write in greater detail about the key challenges to centring OER in education practice across the sectors I outlined in the #OEPSforum4 talk, and how we can overcome these. SocialTech by Josie Fraser is licensed under a Creative Commons Attribution 4.0 International License. Reports and documents published by other or multiple authors and hosted here are licensed individually. Licences attached to these documents take precedence over this general site licence.